Before entering the fitness world, Sari practiced as a Registered Dietitian with a focus on weight management. Ask her any of your nutrition questions! She loves educating clients on how food works together with fitness. 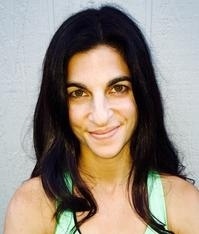 Sari is now a Personal Training Specialist, Spin Instructor, and TRX Specialist. My Greatest Accomplishment: my 3 children. Favourite Food: cereal (anytime, anywhere). Talent I wished I had (but don’t): a good singing voice. Hobby I wished I liked (but don’t): Cooking. Music that makes me happy: Coldplay!.